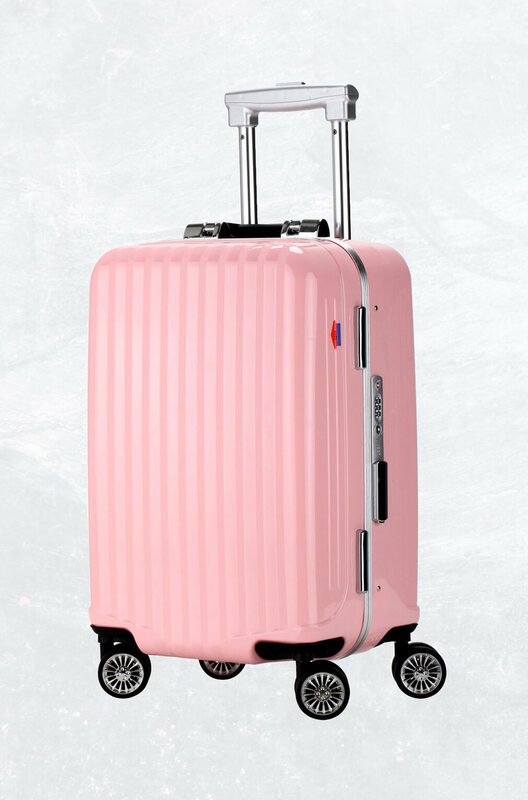 Stand out from the crowd with one of these pink suitcases. Most airports are filled with generic black suitcases. With one of these pink suitcases, you can change that. 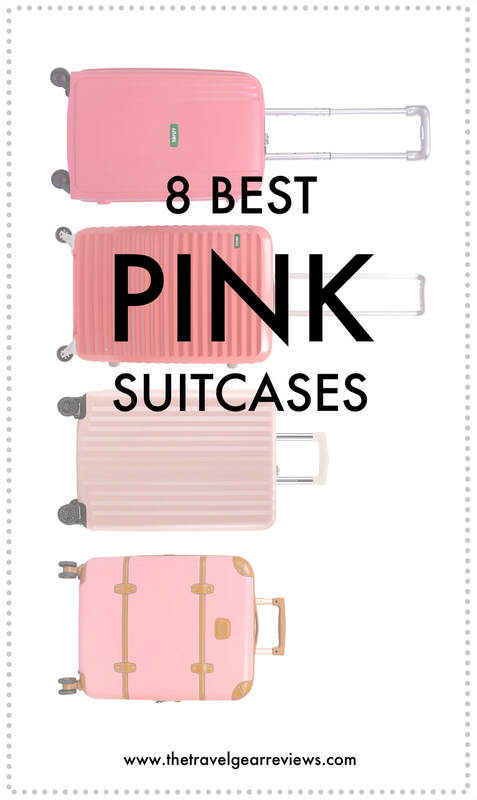 In this article, we’ve sifted through hundreds of pink suitcases to choose our top 8 pink luggage picks. All of these suitcases are carry-on sized and are within the restrictions of most major US airlines. 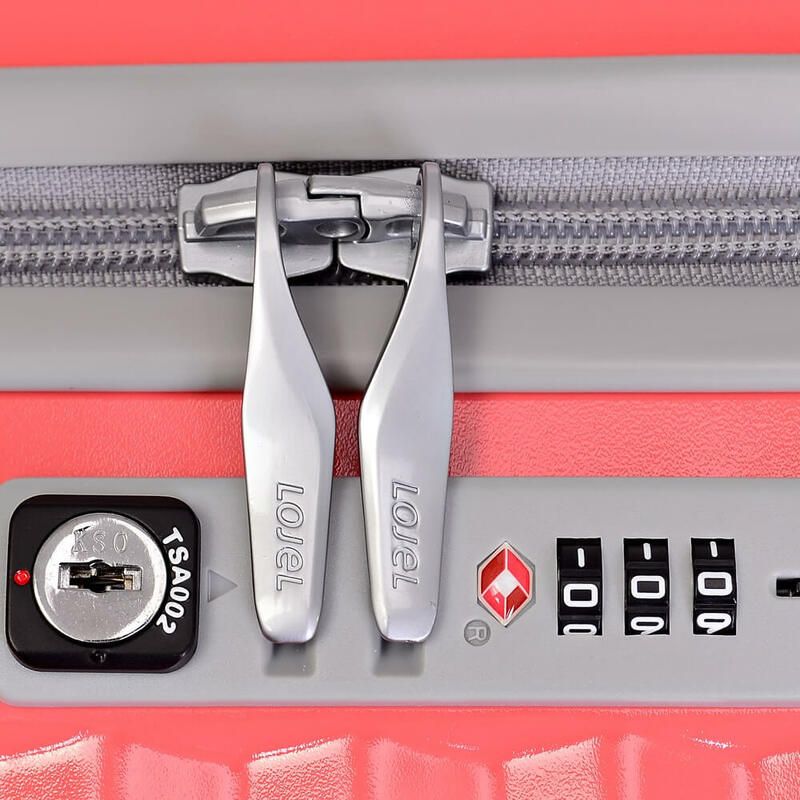 This pastel pink luggage made by Ambassador Luggage is completely zipperless – it uses metal latches to securely close it’s main compartment. 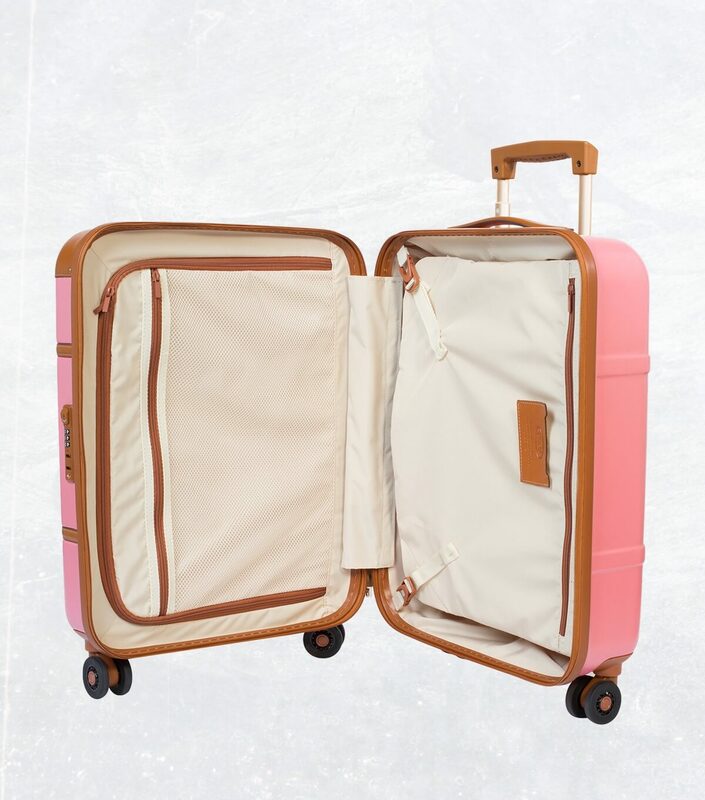 Apart from it’s stunning cotton candy-like exterior, this suitcase has some great features, including 4-spinner wheels for easy mobility and a spacious interior. The Lojel Groove is as functional as it is beautiful. I’ve tested a few suitcases from Lojel and have had very good experiences with them. 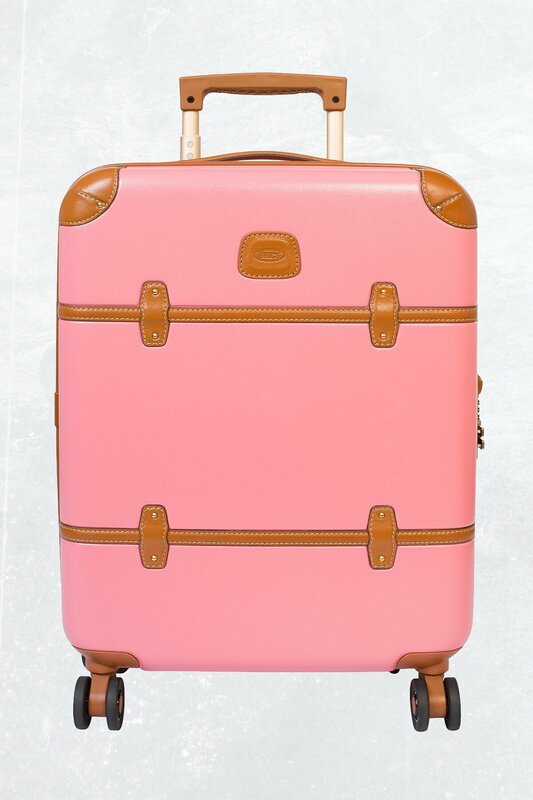 The pink shade of the Groove is close to a salmon color, and you surely won’t have any difficulties spotting photogenic suitcase at the baggage claim. The Lojel Groove has 4 quiet and smooth spinner wheels, 2 carry handles and a built-in TSA approved combination lock. In addition to pink, the Groove also comes in a pastel blue, yellow and green. Read my Lojel Lucid carry-on review. The Lucid is a suitcase made by Lojel, similar to the Groove, but with a quick-access laptop compartment. You won’t miss this American Tourister suitcase at the baggage claim. 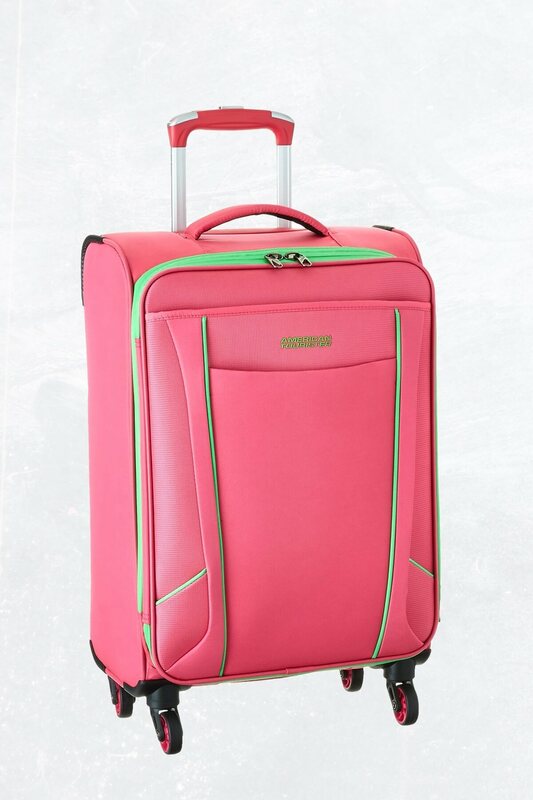 A vibrant pink with bright green accents, this suitcase catches the eye, and does so while remaking incredibly practical. It has a standard soft-sided build and is equipped with 4 spinner wheels which allow you to maneuver through the airport with ease. 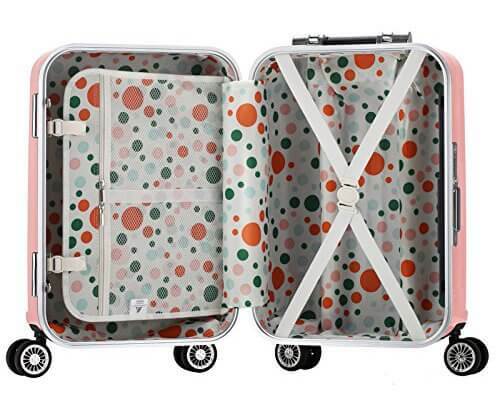 This suitcase is also relatively inexpensive – it costs just $59. Vintage, sturdy, sophisticated – Bric’s, the Italian luxury luggage company, designed the Bellagio with a classic look, but with modern features. 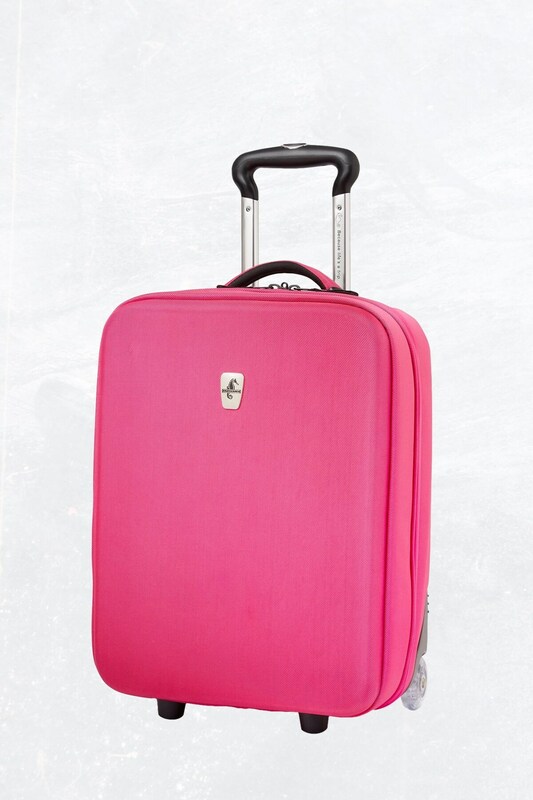 This pink suitcase has a built in TSA approved lock, smooth and sturdy spinner wheels and an overall durable build. Genuine leather detailing add to this bag’s elegance. This luggage is on the pricey end of the spectrum, but when considering Bric’s quality and attention to detail, it’s worth it. 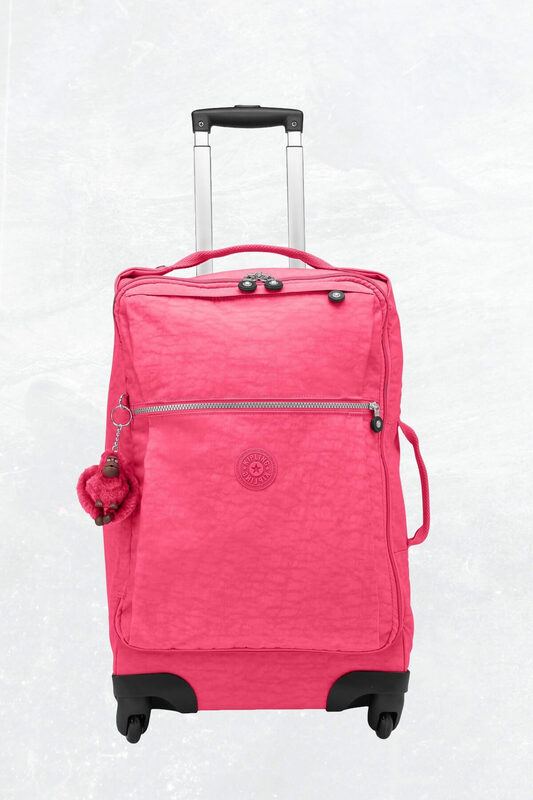 The Darcey S Trolley from Kipling is versatile and lightweight, weighing just over 5 pounds. Ideal for weeklong trips and carry-on only packing, this luggage has a soft-sided exterior and a large quick-access front pocket for storing your books, documents or even a 13 inch laptop. The Kipling Trolley has 4 spinner wheels, plus Kipling has even thrown in a little monkey keychain. 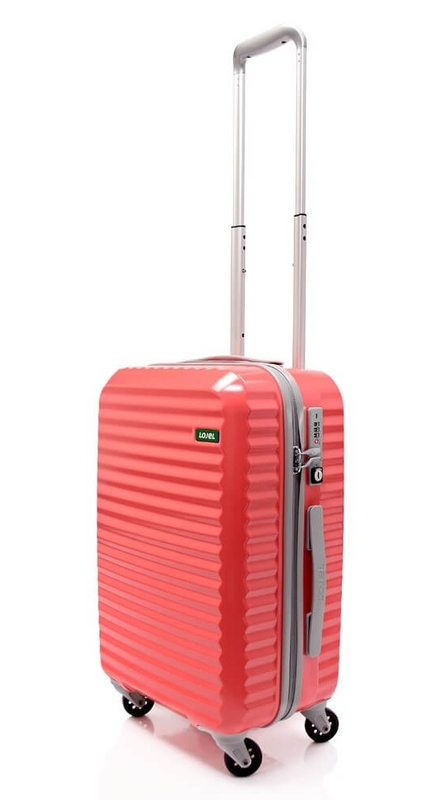 With it’s vibrant pink colorway, it’ll be hard to lose sight of the Kipling luggage. The Streamline, another suitcase from Lojel (you can tell I like the brand), is an aesthetically pleasing hard-shell with a built in TSA lock, smooth spinner wheels and durable coil zippers. 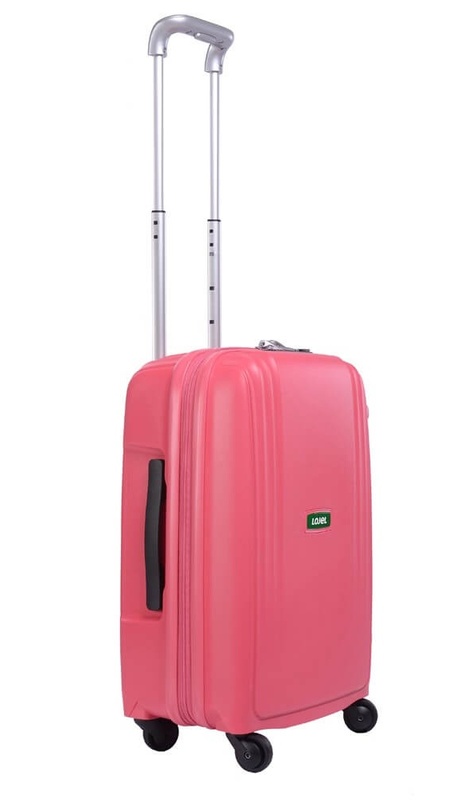 This pink luggage is carry-on sized with enough space for a 5-day trip, or even a week-long trip if you pack light. The pastel pink exterior is made of a flexible, durable yet lightweight material (polypropylene) and can withstand some impacts. Atlantic Luggage has been around since 1919, a time when suitcases were unwieldy chests made of wood and leather. Atlantic Luggage’s Debut carry-on shows just how far luggage has progressed. It has a sleek, modern look and sports 2 very smooth inline skate wheels, which glide effortlessly and quietly. The best part is this carry-on costs only $80. 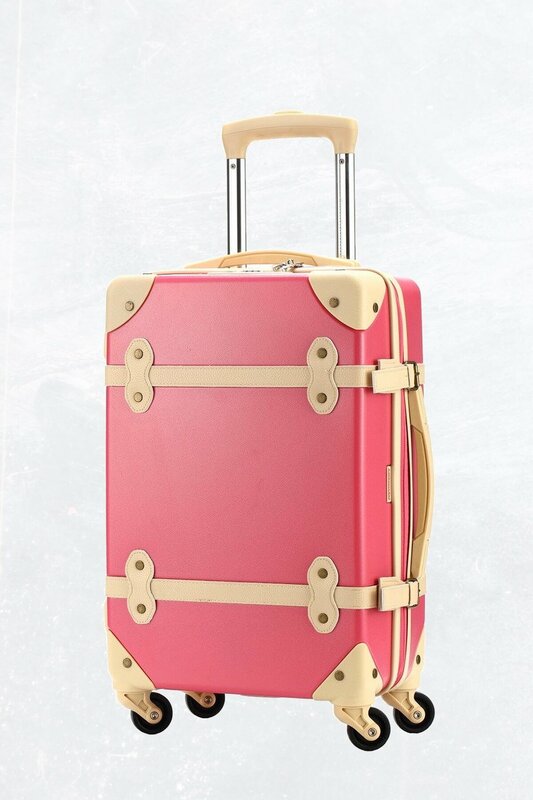 Similar in design to the Bric’s Bellagio, this cute pink luggage from Ambassador Luggage has a vintage look. 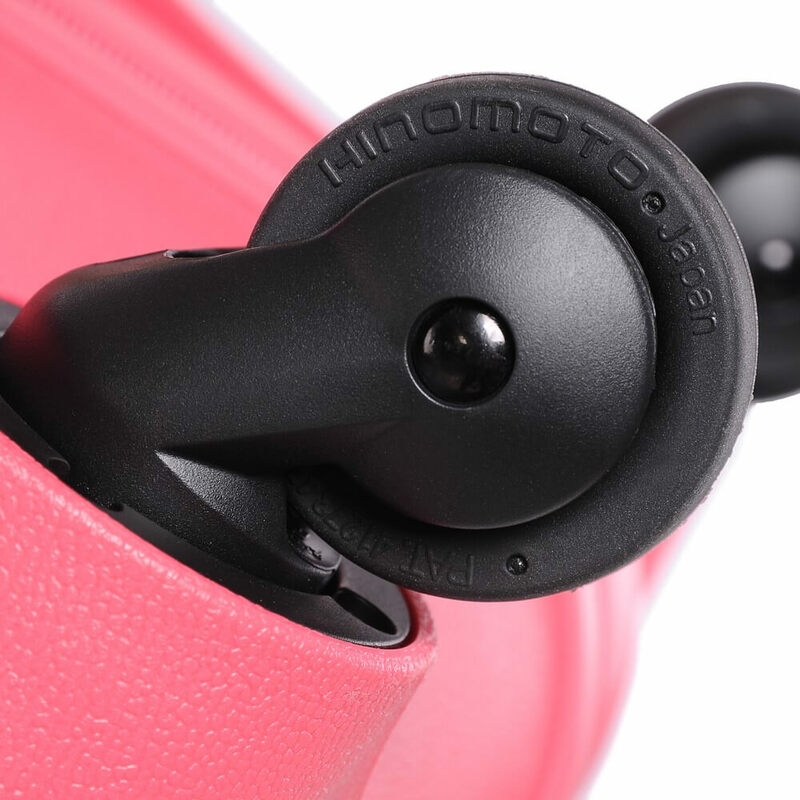 Its light pink hard-shell exterior is made of a durable polycarbonate. Some of the highlights of this luggage are its spinner wheels, built-in TSA approved lock, and of course, its striking look. Measuring at 20 X 15 X 9.4, this luggage meets the carry-on requirements of almost all US airlines. This suitcase can also be found in burgundy. Note: I try to be completely transparent with my readers, so I want to mention that I do make little commission if you end up purchasing some of the pink luggage featured, which helps to fund this site. 🙂 Also, I haven’t purchased all of these pink suitcases, so I can’t guarantee that they are all great products, but I have tried a few. What are your thoughts? Which pink luggage is your favorite? Leave a comment below. « ECBC Sparrow Garment Bag Review + Giveaway! Jonathan, Those pink suitcases are really awesome.